I've raced for my country on trails and tarmac. Won world championship medals and broken course records but there's nothing like seeing athletes you've coached complete their first ultra or step onto the podium for the first time. 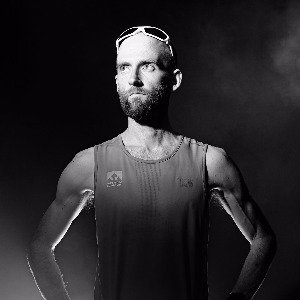 I strongly believe that through a well-structured training plan with the benefit of my experiences of competing in some of the best and toughest races, I can help others achieve their ultra ambitions, either just to complete their first or to start challenging and winning. Working with an annual race plan, weekly schedules, regular discussions and the right kind of advice you’ll be taking the opportunity to take your running to a new level. And, not just for a single race, but working towards a sustainable level of improved health and performance. I've coached over 50 athletes and as part of the "Pyllon" team there have been countless race targets achieved, wins, course records and personal bests. In short I’m really keen to work with people who are committed to making improvements or to take on new races and distances. I provide structure to training based on individual race plans and targets, identify areas to work on and support race planning and strategies etc. Each athlete has their own needs and targets, so the plans are all tailored week to week (I don't send out generic schedules). Plans develop through feedback from the athlete so it’s essential that I get that from anyone I work with. It’s very much a partnership approach. Working together rather than just providing information (you can get that from a book!). I genuinely care about the journey in a coaching relationship and will do whatever I can to help you find the best possible performances. Shoes, GPS watch and some passion is all I require! Success. Coach Paul Giblin has been notified of your message.